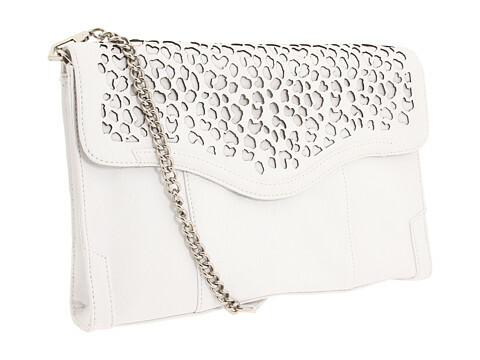 How obsessed are you with this Rebecca Minkoff laser-cut cheetah print bag? Don’t worry- I’m beyond obsessed. Every single Tuesday for about two months, I scoped out my local Bloomingdale’s, each week admiring the beautiful laser cut-out detailing, strong but lightweight chain detail and sleek leather of this bag. I saved up my gift cards, hoarded my Bloomies card reward points coupons, and prayed for a sale. As soon as I was confident with my savings and had officially decided that this bag was the one, I headed to Bloomingdale’s. Only to find that someone had beat me to the chase. Oh my gosh you are so right, that bag is AMAZING! Here’s hoping you’ll stumble upon it on ebay one day! Right?! Thank you so much- I’m definitely already looking! Haha, that is just horrible when you’re ready to go buy that wonderful item… and it’s GONE!! I had the same experience with a wonderful pair of glitter wedge sandals a couple months ago, I still dream about them! That’s how bad I wanted them! I hope you find a beautiful new bag! Let us know! Oh no! Isn’t it crazy how you can dream over accessories? Good luck in tracking them down somewhere eventually: you never know when/where they may reappear. (And then you can call them vintage!) Thanks for the good wishes. If I find something fabulous, it’ll be posted here first, of course. Maybe you’ll be lucky and the bag will appear.